Why Britain won't do much about the new report connecting Putin to a 2006 murder in London. Russian President Vladimir Putin greets British Prime Minister David Cameron at the G-20 summit on Sept. 5, 2013, in St. Petersburg, Russia. On Thursday, David Cameron’s official spokeswoman said that a public inquiry concluding that Russian President Vladimir Putin “probably approved” the killing of former spy Alexander Litvinenko on British soil “regrettably confirms what we and previous governments already believed to date.” It’s hard not to detect a bit of downplaying in that statement, given that the 2006 murder is unfinished business between the two nations that’s re-emerging at an inconvenient time, when Cameron’s government would likely have preferred it stayed under the rug. 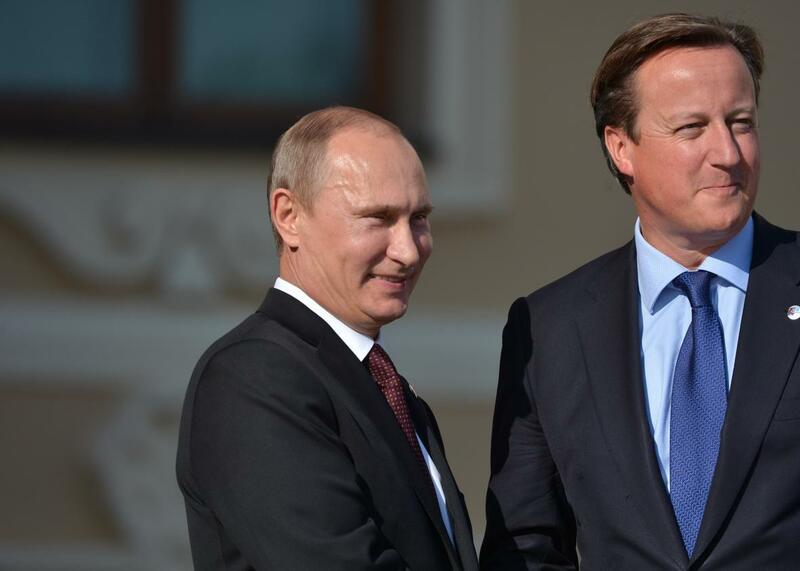 The British government isn’t exactly allied with Russia over Syria. Like the U.S., it has criticized Russia for supporting Syrian dictator Bashar al-Assad and failing to distinguish between jihadist and Western-backed rebels in its airstrikes. But Cameron has also said that the gap with Russia over the fate of Assad is narrowing and that compromise may be possible. The Litvinenko affair has re-emerged just before internationally brokered talks at resolving the conflict in Syria are due to begin. That very fragile and fraught process will require the backing of the various sides in the conflict—including Britain and Russia—to have any hopes of succeeding.